Here’s an unexpected twist in a tale involving an unwanted oilpatch suitor. After Husky Energy Inc. launched a $6.4-billion hostile takeover offer for MEG Energy Corp. in the fall, it appeared as though the target’s fate was set when no rival bidders showed up. Yet, once the offer expired Wednesday, Husky wound up empty-handed. The integrated producer announced Thursday that it didn’t receive the minimum tender conditions for its unsolicited offer. Husky obtained more than 50 per cent of the shares tendered, but less than the required two-thirds it was seeking. Rather than extend the offer for 10 days and try to get it across the finish line, the Calgary-based firm decided to walk. “It’s an extremely surprising outcome,” said Eric Nuttall, a senior portfolio manager with fund manager Ninepoint Partners LP, which bought MEG shares on Thursday. Back in late September, Husky made a bid for MEG, saying it had the financial might to maximize the value of the smaller company’s oilsands assets. The deal would have provided MEG shareholders with $11 in cash, or 0.485 of a Husky share, and it included the assumption of about $3.1 billion in company debt. Many analysts thought MEG’s high-quality Christina Lake oilsands asset would have fit in nicely with Husky’s stable of heavy oil properties and downstream assets. MEG’s board opposed the union. So why would Husky spend 105 days chasing a prey and then throw in the towel at the last minute? “I’ve been trying to figure that one out all day,” said analyst Phil Skolnick of Eight Capital. “It’s a real head-scratcher,” added Martin Pelletier, portfolio manager at Calgary-based TriVest Wealth Counsel, which owns shares in Husky for its clients. In a statement, Husky cited a couple of “negative surprises” in the business climate that muddied the waters, including a lack of progress in Canada building oil export pipelines, and the Notley government’s decision to curtail oil production. “The government of Alberta departed from free-market principles, introducing uncertainty through the imposition of government-mandated production cuts,” Husky said. A lack of progress on pipelines in less than four months isn’t much of a surprise in Canada. The curtailment issue is a different matter. Husky is one of several refiners that oppose the province’s mandated oil production cut of almost nine per cent, which kicked in Jan. 1. Unlike petroleum producers hurt by a growing price discount for Canada’s oil, refiners see their downstream margins improve when feedstock costs drop. And Husky spokesman Mel Duvall said its output is being curbed by more than double the benchmark set by the province. “We are being punished while others are being favoured under this curtailment policy,” he said. Curtailment has certainly tilted the oil universe since Husky’s takeover offer was first made. At the time, the price for West Texas Intermediate crude sat at US$72 a barrel, while the price discount for Western Canadian Select heavy crude topped $35 a barrel. Conditions have shifted dramatically since the fall. WTI oil prices have fallen by more than a third since the bid was initiated, closing Thursday at US$52.36 a barrel. The differential sat at just US$7.43 a barrel Wednesday. MEG officials say the rejection of Husky’s offer confirms the bid didn’t fully value the company’s long-term growth potential. “Obviously, we are in a much better situation where the differentials are (today) . . . the barrels we all produce are profitable now,” said MEG vice-president John Rogers. No white knights showed up to bid on MEG, and it still has many of the same challenges ahead of it today, including high debt levels and exposure to the price differential. 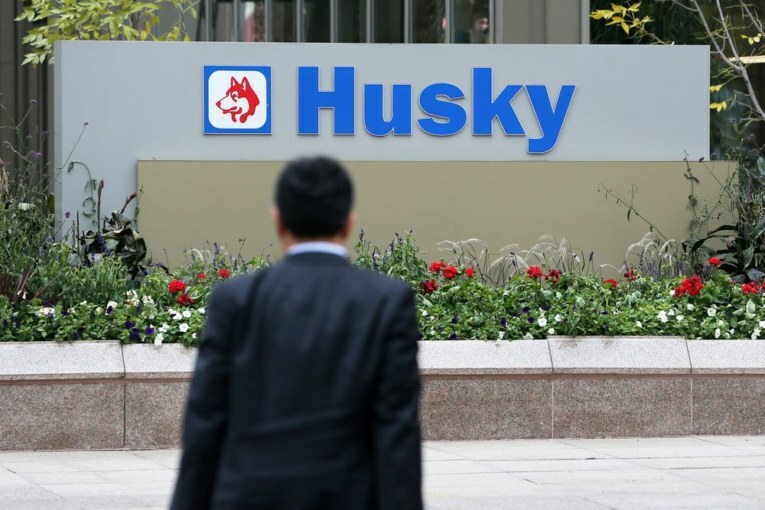 As for Husky, it announced plans earlier this month to conduct a review and consider selling off its retail outlets — it has more than 500 gas stations and related facilities — and a smaller refinery in Prince George, B.C. Even though it didn’t succeed in gobbling up MEG, Husky shareholders seemed satisfied with the outcome given the rally in its share price. “The atmosphere changed dramatically in Canada and the industry from the time they announced the bid,” said Rafi Tahmazian, a senior portfolio manager with Canoe Financial, which holds Husky stock. For Husky, it appears they were served up an off-ramp — it didn’t reach the two-thirds mark of shareholder support — and changing market conditions led to its decision to take the exit. There is likely another underlying message for energy companies eyeing major acquisitions these days. Companies that have made significant deals — such as Baytex Energy buying Raging River Exploration last year — aren’t being rewarded by the market. “Clearly, Husky shareholders didn’t want this transaction . . . and thought there would be a better use for their cash,” said analyst Jennifer Rowland of Edwards Jones. “It’s probably sending a message to others, be careful if you are going to do acquisitions,” added Pelletier. Husky would have heard that message. With a $6.4-billion offer on the table and more fighting ahead to succeed, it chose to walk away. Happy holidays from the CanWEA team!